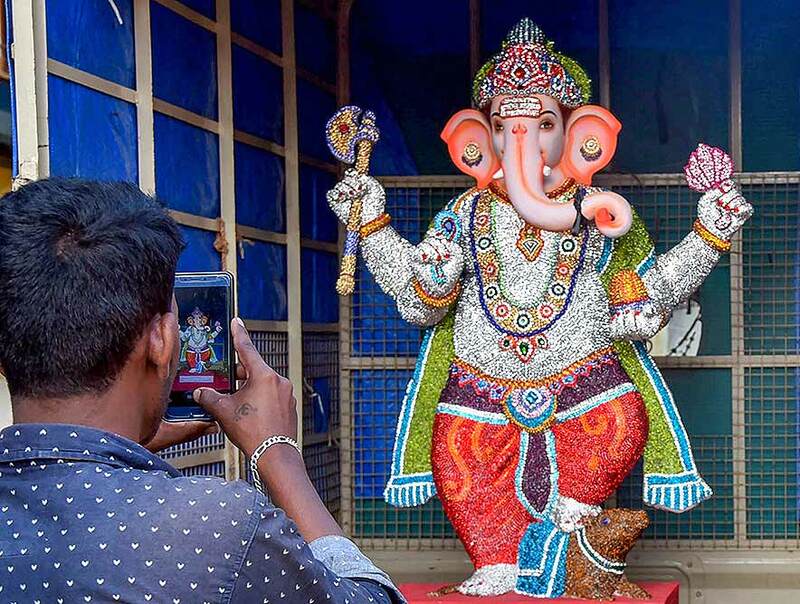 A person takes a photo of an idol of Lord Ganesha made of American diamonds worth at least 8 lacs before installation ahead of Ganesh Chaturthi festival, in Hubballi. 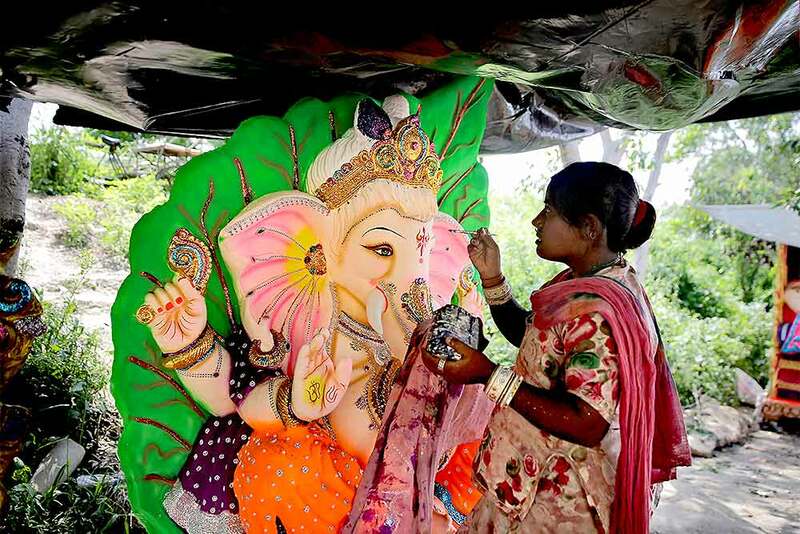 An artist gives finishing touches to a clay idol of Lord Ganesh ahead of Ganesh Chaturthi festival, in Kolkata. An artist paints an idol of Lord Ganesha ahead of Ganesha Chaturthi festival in Ahmedabad. 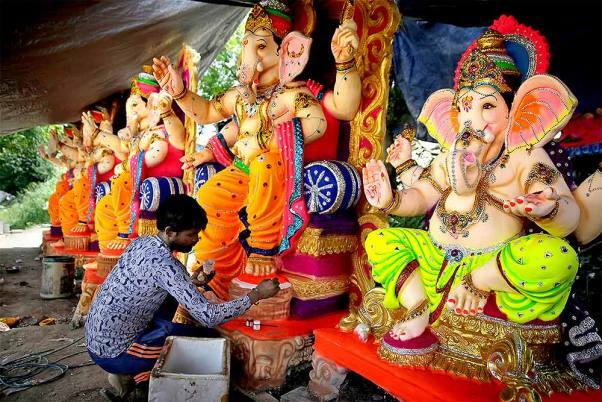 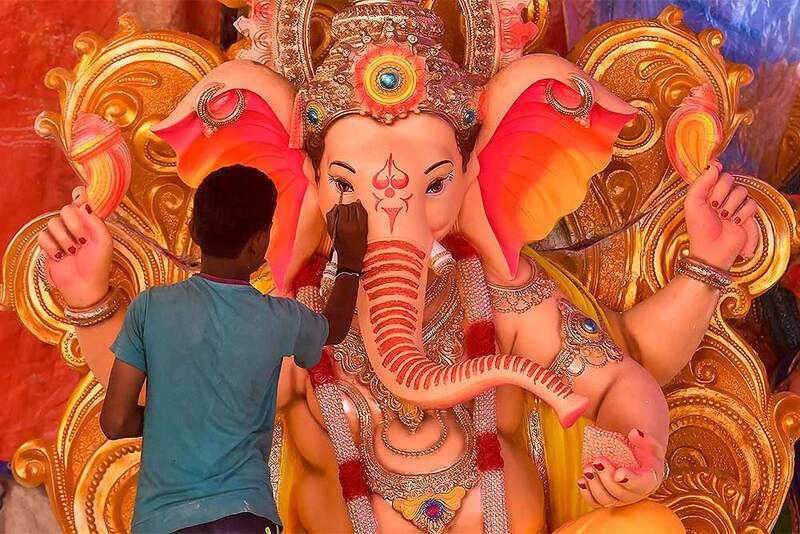 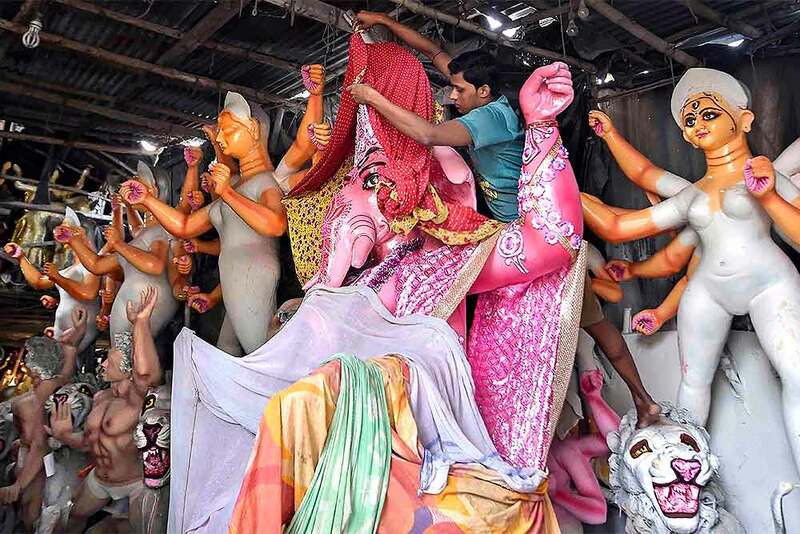 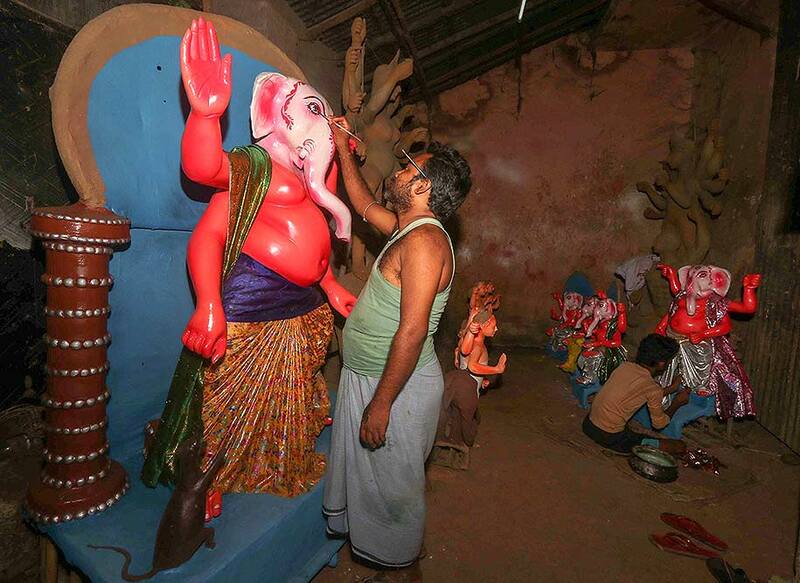 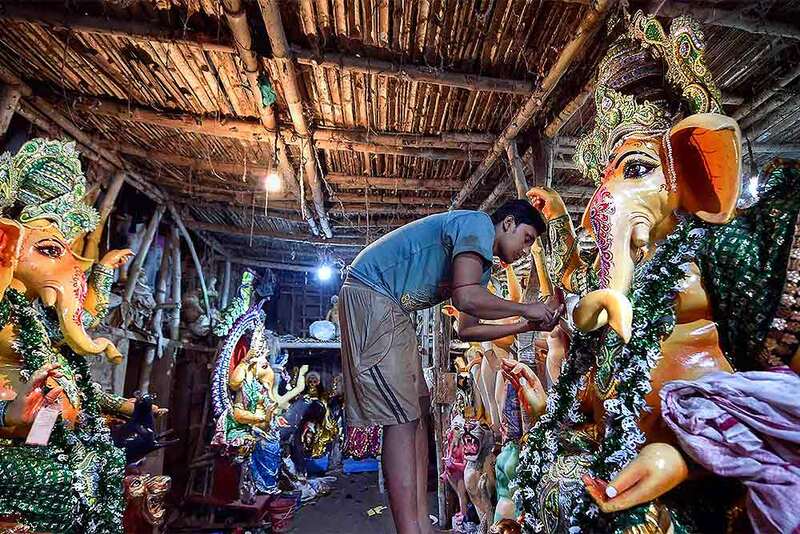 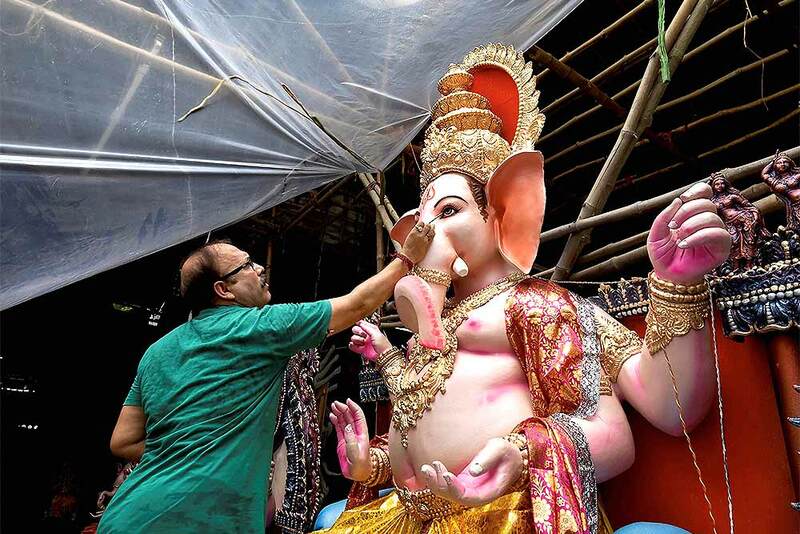 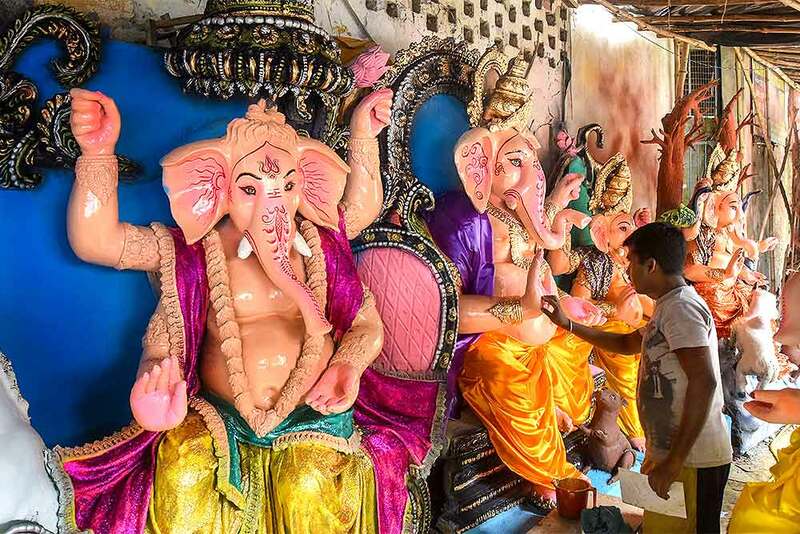 Artists give finishing touch to idols of Lord Ganesha ahead of Ganesh Chaturthi festival, in Birbhum. 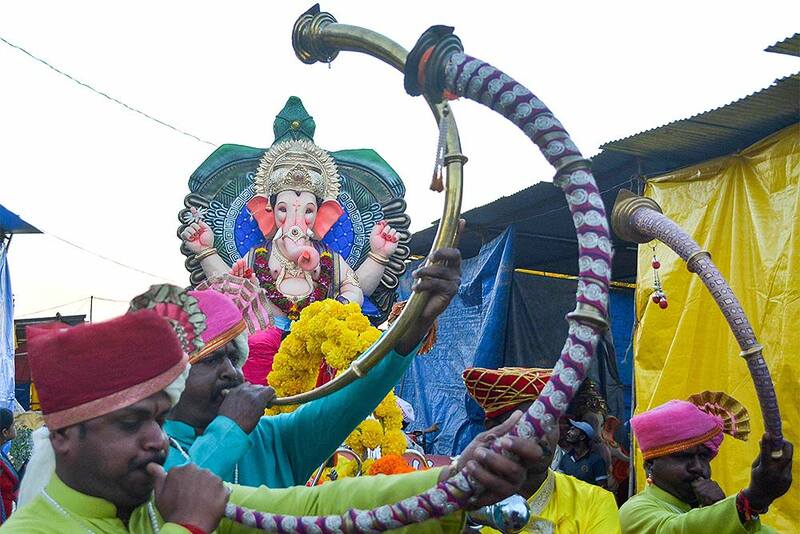 Devotees carry an idol of Lord Ganesha to be installed in a pandal ahead of Ganesh Chaturthi festival, in Karad. 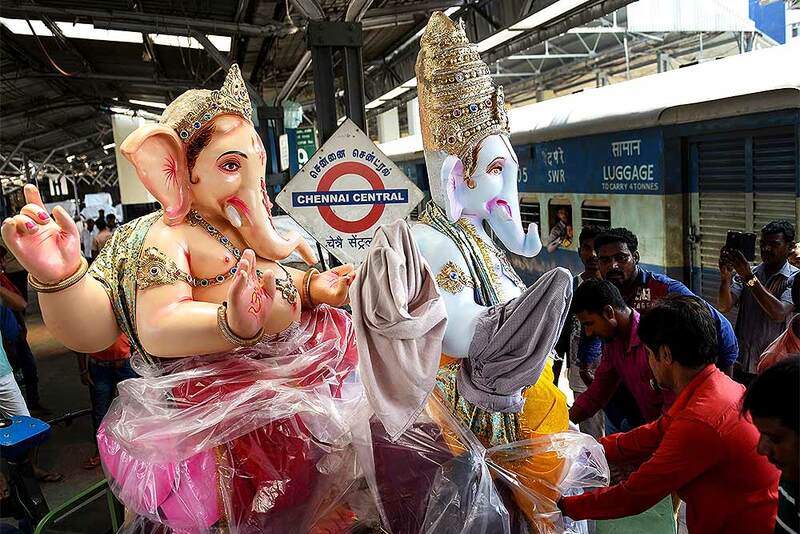 Devotees unload Ganesha idols from a passenger train at Chennai Central railway station ahead of Ganesh Chaturthi festival, in Chennai. 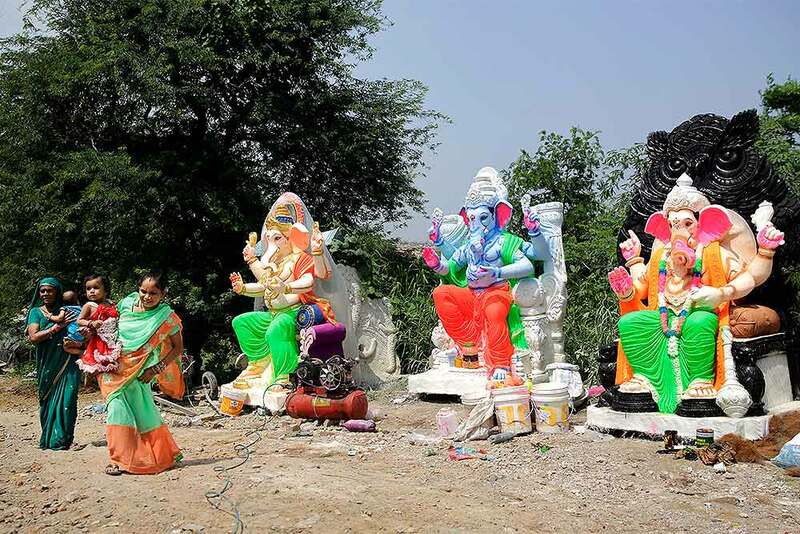 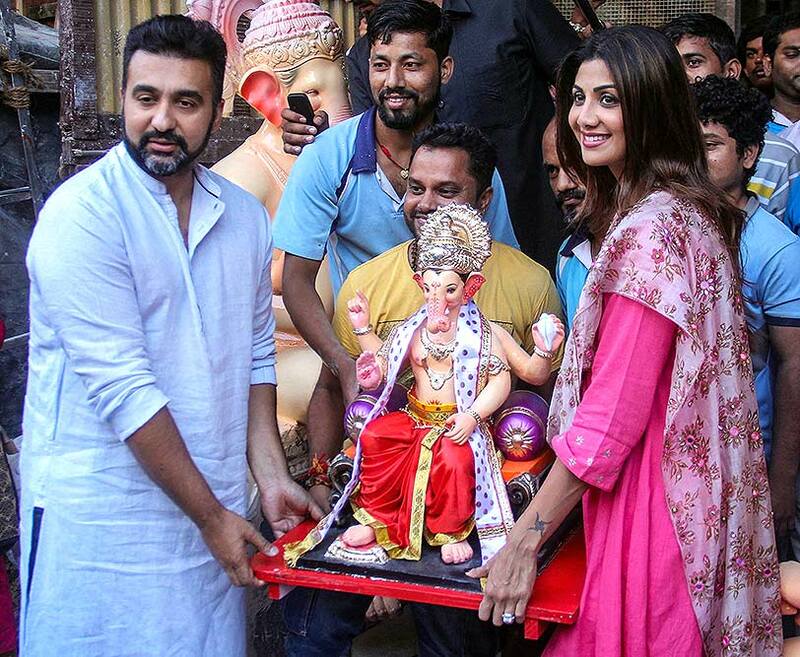 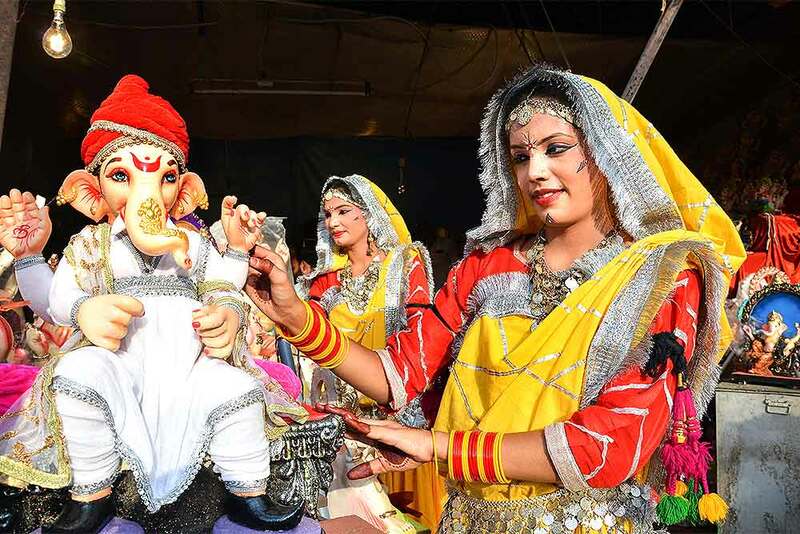 Women dressed in traditional attire pose with a Ganesha idol ahead of Ganesh Chaturthi festival, in Jabalpur. 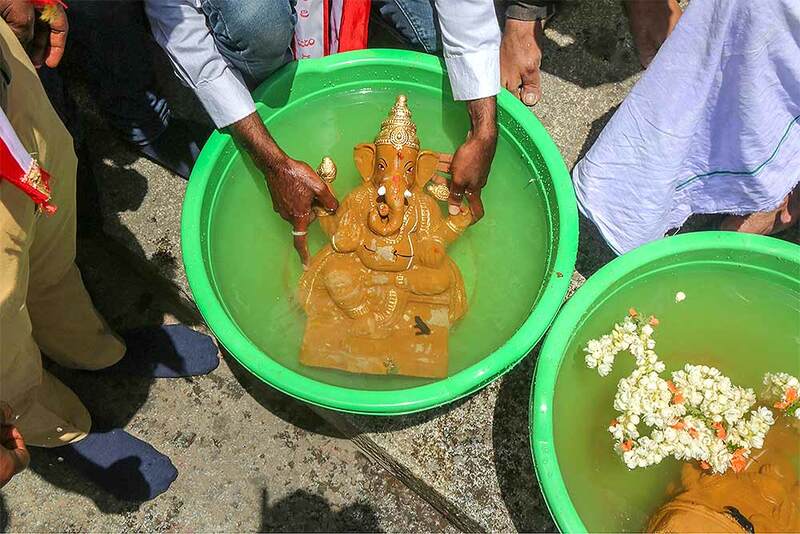 Members of Kannada organisation demonstrate the immersion of clay idols of Lord Ganesha to urge the citizens to use environment-friendly idols, in Bengaluru.